Service, Variety, and Always Quality! We provide more than the others! Super Más le da más que los demás! mas variedad, mas calidad, mas servicio, mas comodidad. Super Más provides more than the others provide! 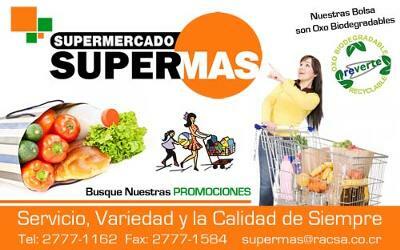 The best shopping in Quepos for groceries and supplies is Super Mas! Why? First of all, they offer the best variety of groceries and imported food in town, which means--one-stop grocery shopping. And that's important, especially when you're on vacation and want to make the most of your time. Second, Krissia, the friendly manager, makes sure there's plenty of helpful employees, a spacious setting, and fairly quick checkouts. Bottom line--comfortable, hassle-free shopping. Third, not only is there a pharmacy onsite where you can pay your bills and get your meds, but also a coffee and pastry lounge area where you can chat with friends, surf the internet, chill if it's raining, or watch for your bus arriving across the street. If you're into health food and the environment, there's a great selection of organic and eco-friendly products. If you're into partying there's a great selection of beer, wine, and liquor. And of course, there's most everything you might need for a day at the beach. 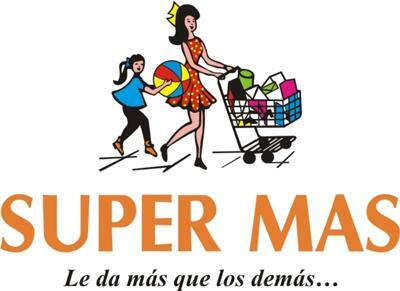 Finally, Super Mas is right smack in the middle of town--which means hassle-free convenience. 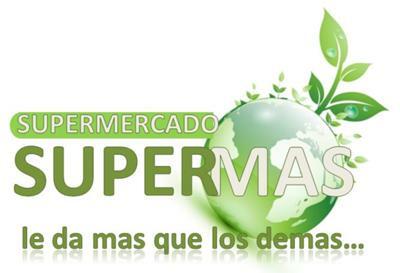 For the best Quepos shopping, Super Mas is the place! Why? First of all, they offer the best variety of groceries and supplies in town, which means--one stop shopping. And that's important, especially when you're on vacation and want to make the most of your time. Second, Krissia, the friendly manager, makes sure that the customer service is first rate and the checkouts are speedy by Costa Rican standards. Bottom line--hassle-free shopping. Third, there's not only a pharmacy onsite where you can pay your bills and get your meds, but also a coffee and pastry lounge area where you can chat with friends, chill if it's raining, or wait for your bus across the street. If you're into health food there's a great selection of organic products. If you're into partying there's a great selection of beer, wine, and liquor. And of course, there's most everything you might need for a day at the beach. Finally, Super Mas is right smack in the middle of town--again, hassle-free convenience. Join in and write your own page! It's easy to do. How? Simply click here to return to Quepos And Manuel Antonio Grocery Shopping.